Recently, I had two different clients call about employees who had told coworkers they were contemplating suicide. I also heard from two different clients about workplace fights attributed directly to political conversations that got out of hand. Road rage incidents involving shootings appear to be growing commonplace, as are other violent incidents. People seem to be on edge, and it doesn’t matter whether it’s related to climate change or the nation’s political discord, employers should be on alert and implementing practices intended to minimize workplace disruptions and increase productivity. 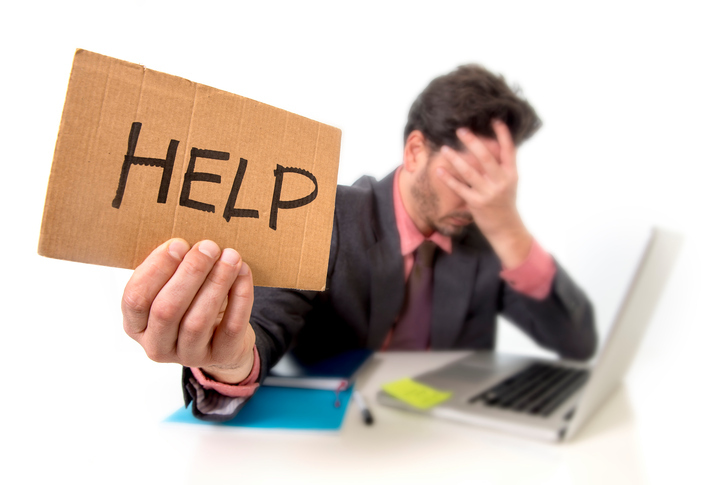 One of the most underutilized instruments in an employer’s tool box is its employee assistance program (EAP). As most employers should be aware, an EAP is a benefit program intended to help employees with both work and personal problems that may affect their performance. It’s said that EAPs’ predecessors were plans designed in the 1930s to address alcoholism and its impact on the American workplace, which later expanded to address the needs of their employees’ families to deal with marital, emotional, financial, legal, and drug abuse problems. EAPs’ momentum was disrupted by the financial crises in the 1970s and 1980s, but they have regained popularity since September 11, 2001, when employers realized that day’s tragedy had measurable productivity impacts on the workplace. So what do EAPs look like today? As with many benefits plans, EAPs are customized to an employer’s business and financial needs. Generally speaking, however, the benefits include counseling or referrals to address an employee’s or a family member’s issues with mental health, substance abuse, divorce, parenting, elder care, finances, and legal matters. The benefits are not limited to addressing issues that have already arisen. EAPs also provide preventative services such as financial planning, career counseling, and even wellness and health promotion services, such as smoking cessation and weight reduction. These benefits are usually free for employees, confidential, and often provided by licensed experts in various fields such as psychologists and financial advisers. Meeting the needs of specific workers, such as returning veterans. Indeed, credentialed EPA professionals are available to work in consultation with management to address employee and organizational challenges and needs. It’s important to note that most EAPs are “packaged” as part of an employer’s employee health benefits at either minimal or no cost. Many employers today have an EAP plan, but oftentimes neither they nor their employees are aware of it, much less use it. There are two ways to maximize the return on your EAP investment: management, and employee communication. In particular, your HR personnel as well as your managers should be made aware of this resource. As noted above, EAPs can often help management tailor policies that best address issues specific to your workplace. Further, EAPs can assist your HR team in dealing with tragic, unanticipated events such as the devastation after wildfires or storms. Employee communication is also key. You should frequently remind employees of their access to an EAP because recalling it in times of need isn’t as instinctive as turning to a health plan when sick. Frequent communication is a great start. EAPs also should be discussed any time health benefits are mentioned to employees. Having managers anticipate the needs of particular employees or teams is also vital. For example, when an employee approaches a supervisor requesting a pay advancement or loan, especially more than once, the supervisor should remind him of the EAP’s financial counseling benefit. Similarly, managers should remind employees of an EAP when they are undergoing work-life balance issues related to child or elderly parent care. According to the U.S. Department of Labor (DOL), EAPs have been shown to contribute to decreased absenteeism, reduced accidents and fewer workers’ compensation claims, greater employee retention, fewer labor disputes, and significantly reduced medical costs arising from the early identification and treatment of individual mental health and substance abuse issues. The fact that insurers offer EAPs for little or no cost suggests that industry experts believe EAP benefits help cut down on other claims. Notably, EAPs are making great strides in becoming more accessible for younger, tech-driven workers, via website redesign and app development. Nonetheless, if your employees don’t know about your EAP, it makes little difference that a trained psychologist is ready to face-time with a worker contemplating suicide. Although EAPs keep identities confidential, you can receive a usage report from your provider showing if the plan is being used, how frequently, and which services. The reports can help you determine if you are effectively disseminating information about the EAP, identify some of the more common issues afflicting your workforce, and reveal whether you are getting your money’s worth. Whether EAPs are subject to COBRA or the Employee Retirement Income Security Act (ERISA) depends on a particular employer’s plan—mainly its structure and benefits. Although regulatory exposure should be considered as you select a plan, you should weigh that element against your particular needs and the productivity benefits that an EAP may provide. EAPs that offer medical benefits such as direct counseling and treatment rather than just referrals for counseling and treatment are likely subject to ERISA and COBRA. The decisive factor will be whether the plan provides medical or licensed professional care. If your EAP is staffed with trained counselors (whether internally or through an outside service provider) who actually provide the counseling, it will most likely be considered a group health plan and will be subject to COBRA. Similarly, if it provides medical benefits, it’s likely to be considered a welfare benefit plan subject to ERISA. Depending on the above, it may also be subject to other laws such as the Affordable Care Act (ACA). In contrast, if your EAP is staffed with untrained persons who simply provide referrals to employees in need of counseling or medical treatment, then the EAP may not be subject to ERISA or COBRA. COBRA EAP compliance can be particularly frustrating and complex. Every day, millions of Americans are showing up to work stressed and exhausted and may even pose a threat to themselves or others. Assisting them isn’t just a higher calling or moral obligation—it directly affects workplace productivity and thus the bottom line of every business. Employers today should seriously look into EAPs, get a plan that best suits their own and their workforce’s particular needs, and make sure it is effectively used by management and employees alike. Glianny Fagundo is an Attorney at Taylor English Duma LLP and an Editor for the Georgia Employment Law Letter. She can be reached at gfagundo@taylorenglish.com.